Anyone with a passing knowledge of Methodist history grasps one of the great ironies of that movement: that it started out not so much a movement of its own but as an attempt to reform the Church of England — namely, to make it relevant to working-class English men and women coping with the effects of industrialization and struggling to understand their place in it. 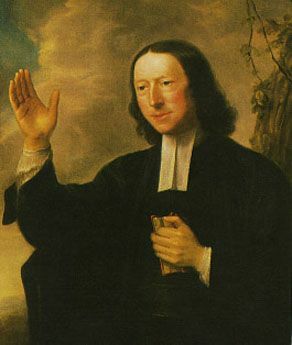 As a matter of fact, to this Methodist, the Wesleyan movement has always borne a remarkable resemblance to our movement. After all, what was the purpose of land-grant institutions and the Cooperative Extension undertaking that followed other than an attempt to equip farmers and working-class men and women with the mental resources and skills to weather the effects of industrialization occurring around them? I’ll even take this comparison one step further: Much as 18th century Anglicanism was in need of a makeover, so is 21st century Cooperative Extension. Yes, we need not one John Wesley but a legion of them: men and women who can help transform our movement into the relevant, post-industrial knowledge organization that it must become. Just as agriculture was the major activity a half millennium ago and industrial production was the preoccupation of the last century, “innovation and creativity will be the engines of economic growth” in the 21st century, he contends. The most successful societies of the world — and Brooks is fully confident that the United States, despite its current challenges, will remain the world’s most successful society — will provide aspiring innovators with the social context they require to realize their fullest potential. This kind of achievement doesn’t occur within a vacuum — some solitary genius laboring alone in a laboratory or library. There will be a measure of that, yes. But social collaboration — networks — will comprise the most essential component. As Brooks stresses, creators and innovators will require teamwork every bit as much as solitary inspiration and discovery. People ask me why I, a confirmed pessimist, continue to express unbounded optimism about Cooperative Extension despite the seemingly endless budget cuts, downsizing and demoralization that inevitably follows. There is one reason: I am fully convinced that our history — our longstanding acquaintance with collaborative knowledge — fully and uniquely equips us to capitalize on what is occurring all around us. We Cooperative Extension professionals are fortunate to work in the nation that Brooks believes is still the best equipped to serve as the world’s creative hub. We Americans speak the global language, we remain a high-trust society, we’re a universal nation with contacts all over the world, and we still possess a high degree of social trust and openness — all prerequisites for the society that is emerging. Likewise, we’re fortunate that the successful society that emerges in the 21st century will be ours, the one best equipped to provides hubs — junction points — for this immense global network. Yet, we have some immense advantages of our own: namely, an enormous potential to provide American society with a number of these critical junction points. Even so, fully seizing these opportunities will require an organizational makeover. That is why we will need creators and innovators of our own — legions of them — people who can show us how we can draw on our historic strengths to complete our transformation into a fully networked knowledge organization, one that promotes both creativity and innovation. We need a legion of John Wesleys. Two points David Brooks raised today in discussing President Obama’s political prospects following the mid-term elections not only made a deep impression on me but also raise major implications for the future of the nation and of Cooperative Extension. Culturally, he will have to demonstrate that even though he comes from an unusual background, he is a fervent believer in the old-fashioned bourgeois virtues: order, self-discipline, punctuality and personal responsibility. From a public policy standpoint, he says the President will also have to stress the importance of restructuring in an era when growing numbers of Americans fear that the nation’s best years are behind it. Companies like Ford cut wasteful spending while doubling down on productive investment. That’s exactly what the nation has to do over all. There have to be cuts, the president could say, in unaffordable pension commitments, in biofuel subsidies and useless tax breaks. But there also have to be investments in things that will produce a vibrant economy for our children: a simpler tax system with lower rates on investment; more scientific research; a giant effort to improve Hispanic graduation rates; medical courts to rationalize the malpractice system and so on. It’s neither my intention to praise nor blame President Obama. My priority as blogger is to identify current issues that have direct bearing on the movement I’ve come to love and cherish: Cooperative Extension. And these two points have a direct bearing on Extension. The cultural values of self-discipline, punctuality and personal responsibility have been critical to this nation’s long-term success. 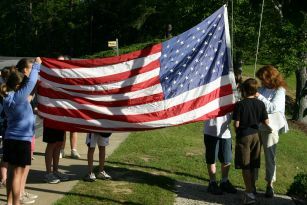 4-H has played an indispensable role in propagating and instilling these values in five generations of American youth. 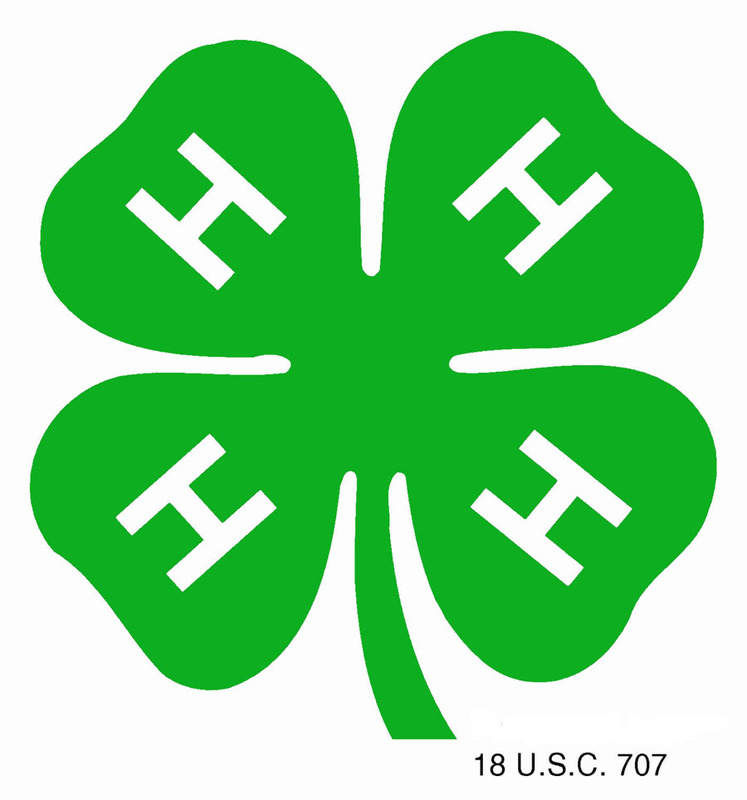 To put it another way, I believe that 4-H’s longstanding role — instilling young people with the skills they need to function in the real world — remains more than simply a quaint holdover from earlier decades. This historical role remains no less critical — critical to the long-term survival of our society. 4-H educators and volunteers should make no bones about this fact. They should proclaim it loudly, unapologetically and proudly. Brooks’s second point about productive investment must also be taken to heart. In historical terms, Cooperative Extension is one of this country’s most significant productive investments. The role it served in rendering farming more efficient contributed directly to this nation’s reaching the pinnacle of world agricultural and industrial leadership in the 20th century. Despite all this talk of Extension’s best years being behind us, we still have an essential niche to fill in terms of productive investment. This is what it would take to feed nine billion people in 2050: at least a doubling of agricultural production driven by a huge increase in fertilizer use in Africa, the adoption of drip irrigation in Asia and America, the spread of double cropping to many tropical countries, the use of GM crops all across the world to improve yields and reduce pollution, a further shift from feeding cattle with grain to feeding them with soybeans, a continuing relative expansion of fish, chickens and pig farming at the expense of beef and sheep (chickens and fish convert grain into meat three times as efficiently as cattle; pigs are in between) — and a great deal of trade, not just because the mouths and the plants will not be in se same place, but also because trade encourages specialization in the best-yielding crops for any particular district. Needless to say, the need for a “great deal of trade” inevitably will be accompanied by a great need for agronomists, soil scientists, entomologists, animal scientists and agricultural economists — experts who are not only fully engaged in classrooms and laboratories but also in face-to-face interactions with producers who will comprise the vanguard of this new green revolution. Back to Brooks’s phrase: productive investment. The demands of mid-century agriculture will require a colossally large productive investment, not only in terms of research but also in active engagement with producers. That’s one of the reasons why I believe Cooperative Extension’s best years are ahead of it rather than behind it: We will soon be called upon again to make an enormous productive investment in this nation’s and the world’s future. 4-H and FFA: Vanguards of a Scientific Counterrevolution? Those were the blunt sentiments expressed last week by an industrial engineering professor and close friend summing up the future economic outlook of the United States barring a radical turnaround. If any statement best underscores why I still believe passionately and unequivocally in the enduring value of 4-H and FFA, it’s is that one. Yes, I know that historically speaking these two youth organizations have been closely tied with agriculture rather than with the manufacturing base. But their historical emphasis on practical knowledge and the critical thinking that accompanies it is the reason why I’m convinced these two organizations have an invaluable role play in the future as practical scientific vanguards. Practical scientific vanguards? Yes, I know that sounds a little grandiose, if not slightly bizarre. But I’m serious. I believe our success as a nation depends on whether we reverse the trends that are moving us away from the traditional American emphasis on practical science and critical thinking. I was reminded of this yet again last week while finishing last chapter of Arthur Herman’s “How the Scots Invented the Modern World,” a book that chronicles the enormous Scottish contributions to modern thought and technological achievement. Herman credits the Scots with fostering huge leaps in moral philosophy, history, economics and scientific and technological advances throughout the 18th century. Intellectual discussions throughout the civilized world were peppered with Scottish names such Hutcheson, Kames, Ferguson, Smith and Hume, Reid and Carlyle. Medical training at Edinburgh University set the standard for the rest of the world, particularly the newly independent United States. Similar standards were set in engineering, steelmaking, ship building, textiles and chemistry. Yet, as the 19th century drew to a close, Scottish intellectual achievement began to wane. Scotland’s brightest students abandoned Edinburgh, Glasgow and Aberdeen for Oxbridge. By the close of the 19th century, Scottish businessmen, whose professional forebears had advanced printing and the book trade — not to mention renowned publications as the Edinburgh Literary Review — turned their energies to the tabloid press. Likewise, Scottish writers abandoned their interests in philosophy, political economy and history for escapist literature. A growing Scottish preoccupation with conformity blocked innovation and creativity — a change that Herman ascribes to the disastrous results stemming from World War I battles of Gallipoli, the Somme, Ypres and Passchendaele, when Scottish generals, once vaunted for their independent-mindedness in addition to their courage and sense of honor, concentrated on means while losing sight of the ends. Could it be that American society is following the same course? Is our longstanding reverence for practical science and critical thinking, which sparked similar scientific and technological advances throughout much of the 19th and 20th centuries, eroding? Yet another observation that left a deep impression last week was expressed by U.S. Secretary of Defense Robert Gates, a former Texas A&M University president, who stressed that American society is more self-aware and self-critical than any other in history. Back to my premise: 4-H and FFA and the need for nothing less than a practical scientific counterrevolution. What two change agents are better equipped to provide young people with an appreciation for practical science and critical thinking and to restore these values to a preeminent place in American life?